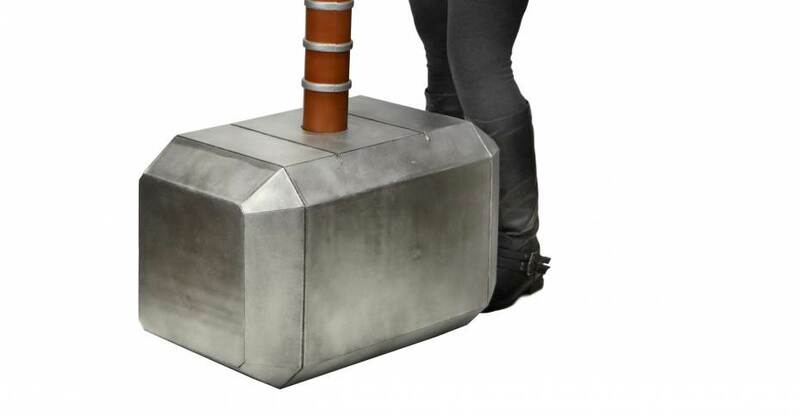 The second oversized foam replica from NECA is Thor’s Hammer, also known as Mjolnir. 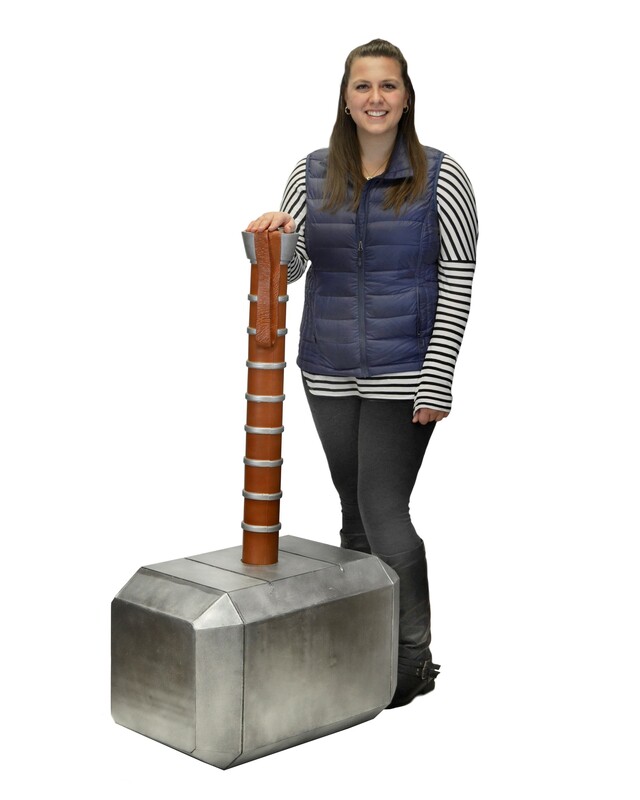 Even Thor himself may have trouble lifting this 4′ tall replica of the hammer! We have a few official photos of the gigantic foam Marvel Comics hammer replica. Look for this to be released in July. See a couple of photos after the jump. Is this simply for novelty sake, like those oversized foam fingers? I personally don't get stuff like this, but to each their own. i always assume that NECA life-size and now over-size stuff is mainly for comic shops and retailers to spruce up their locations. For those who want to compensate for something? 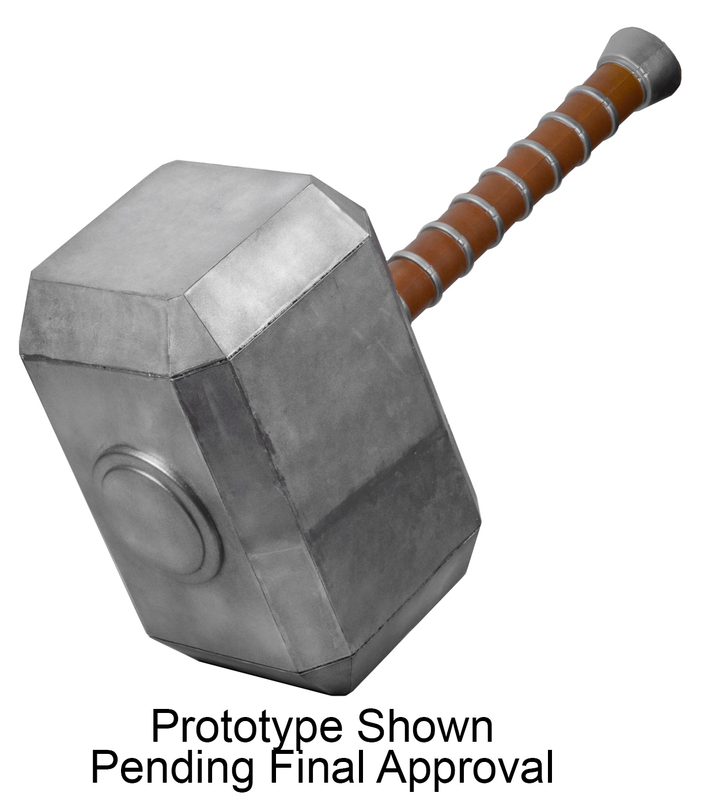 I mean seriously, who would want a 4-foot version of Thor's hammer? That's just weird, NECA. Yeah, 2 out of my 3 comic shops have NECA life-sized items decorating the place, inviting customers in. They're probably going for the larger scale in an attempt to squeeze profit. That would be my guess. They don't expect to make as much selling a smaller version. There might be other reasons: 1:1 scale, the handle would probably be too flimsy. They'd have to make it separately out of molded plastic and then attach it to the foam block, e.g,. by threading the end. And the handle would have to be textured and detailed and dry-brushed to avoid looking rinky-dink cheap. All of these things add cost. ...But think of the difference in DEMAND! For a display prop that I can use to whack my friends over the head, I would consider a half decent reasonably-priced 1:1 version a MUST HAVE. How much would it hurt to get hit by that? Definitely an item that would make for a great display piece in a comic book store. I feel like a Doomhammer in this scale/style would actually be pretty appropriate. I'd almost get this if I had the space for the shear hilarity and ridiculousness.